Congratulations to Reverend Robert Clifford on his induction to All Saints’ Windsor! With friends, former parishioners, and family coming from near and far, All Saints’ is delighted to officially welcome Robert’s license to be our new Rector. Robert was also welcomed as Padre to All Saints’ regiment, the Essex and Kent Scottish regiment of the Canadian Armed Forces. Here is a biography of Rev’d. Robert. Stay tuned for more updates in our busy parish schedule, or check our Facebook page for updates. The Rev’d Robert Clifford took up the pastoral leadership of All Saints’ Anglican Church, Windsor in September 2017 coming from Trinity Anglican Church, Port Burwell; St. Luke’s Anglican Church, Vienna; and Trinity Anglican Church, Aylmer. His ordination to the Diaconate took place on November 29th, 2012 and to the Priesthood on June 6th, 2013 at the Cathedral Church of St. Paul (Anglican), London ON. 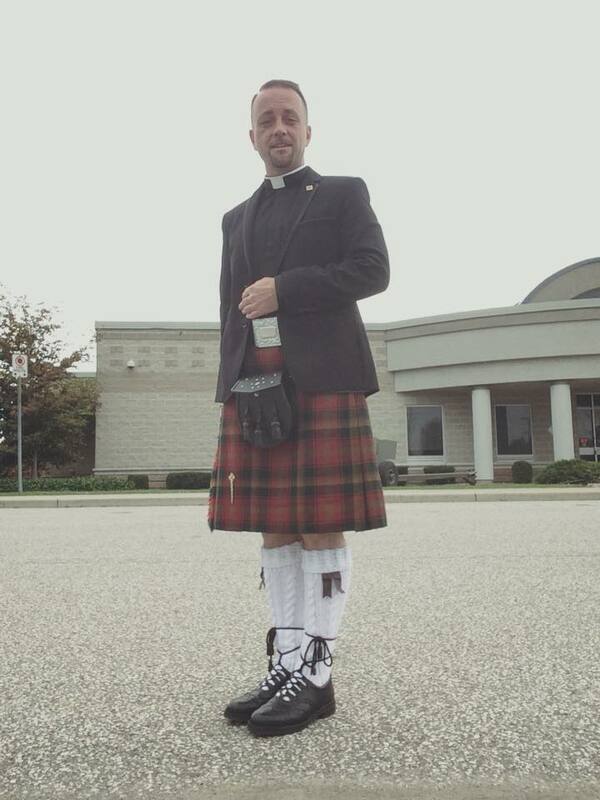 Robert holds a Master of Divinity degree from Huron University College, Western University. Additionally, he obtained an honours undergraduate degree in Political Science, with a significant minor in History, from King’s University College atWestern University. Previously, he worked for both a Federal Cabinet Minister and a Provincial shadow cabinet minister in their constituency offices helping people to resolve their concerns. He has also worked in human resources, quality assurance and administration for a family pharmacy, and in escalated customer service for a multinational hotel chain. While studying at university, Robert was blessed with a placement at St. Andrew’s Anglican Church, Chippewa and Zion Anglican Church, Oneida. He is grateful to The Rev’d Canon Gaye Whippey for the opportunity to minister among the First Nations communities that she serves. Indeed, he feels that the parishioners ministered him to as much as he provided ministry to the community. He also served the parish of St. John’s Anglican Church, Tillsonburg, during his final year of studies. He is grateful for the warmth of the reception he received there and the significant practical teaching offered by The Rev’d Bill Ward and The Rev’d Deacon Vermell Stevens. As part of the process toward ordination, the Diocese of Huron requires that candidates complete a Clinical Pastoral Education unit at an area hospital under the supervision of qualified pastoral care practitioners. During the Summer of 2010, Robert was placed at St. Joseph’s Regional Mental Healthcare – London (formerly London Psychiatric Hospital) as a Student Chaplain. Here he learned about providing pastoral care in some of the most difficult of circumstances with which people can struggle. In 2015, Robert was asked to provide Chaplaincy to the Diocesan Lay Readers. In this capacity, he acts as an examining Chaplain to those seeking to be licensed to this ministry and as a pastoral Chaplain to those already licensed. For Synod 2016, Robert provided clergy leadership in the organization and running of the Synod of the Diocese (basically an Annual General Meeting) as the Honourary Clerical Secretary to Synod. 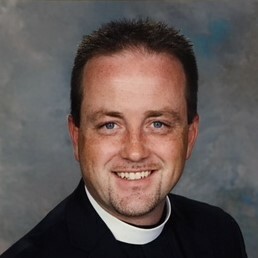 In 2017, prior to his move to Essex Deanery, Robert was the Regional Dean of the Deanery of Delaware under the leadership of Archdeacon Nancy Adams. Also, he presently serves on the Grants and Loans and the Archives Committees of the Diocese of Huron. In his continuing education, Robert focuses his attention on preaching and ways to reach out into the communities he serves to make known the love of God. Robert is feeling blessed to be ministering alongside the people of downtown Windsor and prays that his ministry will by his words and actions carry the Good News of Jesus’ love to this corner of the Kingdom of God. He emphasizes that all are welcome to services at All Saints’ at 8am and 10am.